Two New Interactive Books With Manipulatives! I hope you all had a glorious spring break! I know I definitely took a break from blogging and doing any work to just relax! Since we're back into the swing of things, I wanted to share two new activities that I'm really excited about! ANYWHO, if you didn't check out my interactive book for Spring - "Getting Dressed in the Rain" - make sure you click the link HERE and take a peek! I've been targeting tons of goals with my kiddos with this one, especially my AAC guys! My latest two books are for planting a seed and going to the beach -- you can tell I have warmer weather on my mind! Here are the details on them both, click the titles to reach the links! This is a great kick-starter for life cycles or plants! 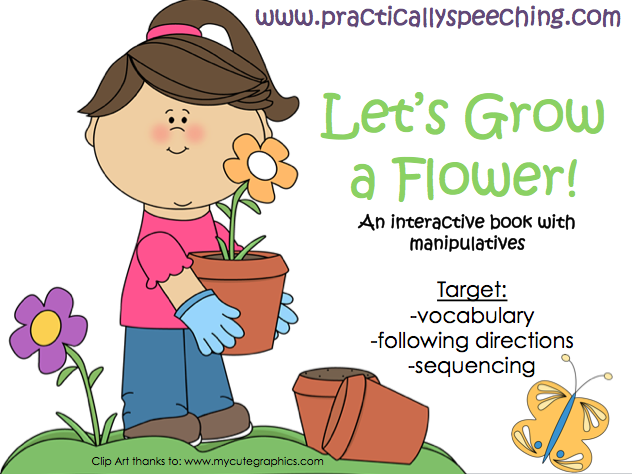 The manipulatives help you target vocabulary and following directions, all while teaching about how to plant a flower! The book runs through the basic parts of a flower and what you need to grow a healthy plant! 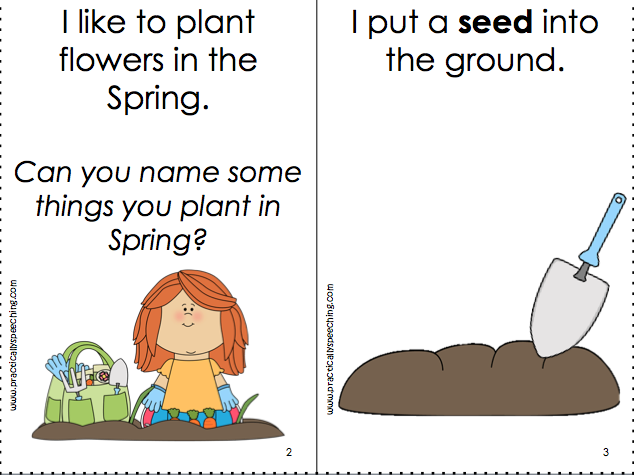 Target comprehension by answering the question in the book - can you name some things you plant in the spring? - and then carrying that over into a group discussion. I've also done some nice comparing/contrasting with this question for the different seasons, and talking about how we can tell if it's spring. A great thing for all of these books is that you can work on requesting and yes/no questions using the manipulatives! I have warm weather on the brain! 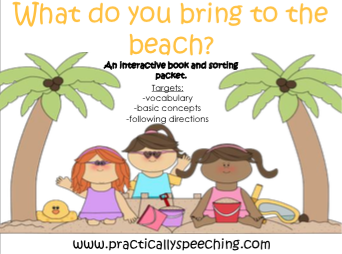 For this one, I decided to target basic concepts with the items you might bring to the beach - chair, umbrella, beach ball, etc. This is a great way to not only teach life skills, but to spark a discussion aboutwhy you might need an umbrella in the scorching sun! This book is also great for following directions, whether auditorily presented or having kiddos read them and decide where to put the object. This packet also comes with a sorting mat and some extra manipulatives. 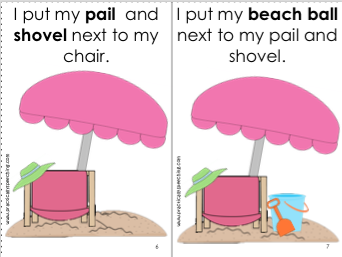 I found my kiddos had a hard time nailing down what might be important for the beach, so I decided to throw in a sorting mat for the beach vs. school. We talked about why it's important to have your backpack at school, and your towel at the beach!